Paul Nowak is on hiatus from the podcast, but former podcaster Dan Quick is stepping in to fill his shoes. This week’s Gaming Flashback is the expansion Diablo II: Lord of Destruction. @Noriega sues: Yeah I thought like Jordan that generally former Dictators are dead ones. He should just be happy to have made it to 80. @Sims 2 Ultimate Edition: My wife and I both got our CD versions redeemed for the digital Ultimate edition and I have to say I’m pretty happy to have access to all those packs and expansions I never bought. I still find myself spoiled for some mods, and I had to tinker with special settings to get a resolution other then 800×600. It is nice to play this game digitally and not have the hassle of some 20 cd’s to go through when wanting to install the game to a new computer. I don’t know if it’s nostalgia glasses or not but I swear the game looked better than what I started up in Ultimate Edition. I remember you mentioning in regards to Sims 2 not liking that your Sim ages while a neighbor doesn’t and you’d have to go to their lot to age them. For me it’s the inverse in what they do in Sims 3. I like to jump from lot to lot controlling multiple families and creating Dynasty Legacy families. I didn’t like in Sims 3 if I was playing a family and went to another house, only to find the first family had moved, split up or had a baby without me. This happened to my wife who was trying to get one sim with someone else and she went to another house and when she game back he was gone, he had moved out. So for me I like the “rabbit holes” or “hamster cages”. If you couldn’t tell I like gameplay that allows me to feel like a god controlling the lives of these mere digital blips on my computer. @Codemasters respond: Yeah people need to realize that giving money to companies promotes them to make more of what your buying. Vote with your wallets people, this is why I backed Pillars of Eternity, to show my support for the types of games I want to play. 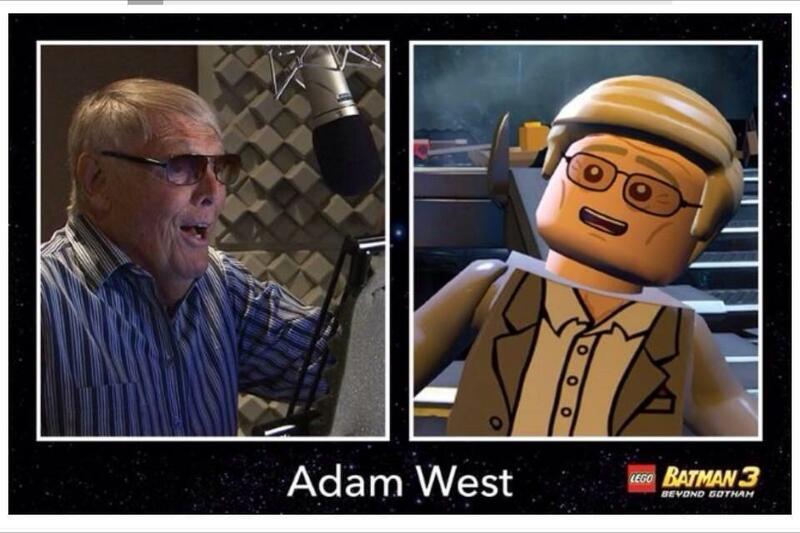 @Adam West playing himself. I’ve been entertained by his role of being “himself” like in Family Guy, I appreciate when an actor embraces a role that made them famous, as opposed to being resentful about it. @Civ Beyond Earth: I am looking forward to playing this game, I’ll probably be Harmony since you get Sand worms, I look forward to assimilating Dan with the Mother Brain Flower. @Sony Remakes: Yeah I’m not sure about remakes for PS3, now if they remake PS1 or PS2 games that might interest me. Namely Suikoden, need more Suikoden. @Spore: “Install spore and see if I like it again” See that’s just an incorrect statement, that game is completely unlikable. @QotW: I think I am looking forward to Pillars of Eternity the most since it’s a spiritual successor to Baldur’s Gate of which I want more of. I also am looking forward to Civ Beyond Earth as well for MP with my Polycast/craft friends. My family is looking forward to LittlebigPlant 3 and my wife wants Sims 4 but I’m very cautious of it, I didn’t like the “buy next expansion pack merry go round” with sims 2 and 3. I have to admit I am tempted by the Dragon Age Inquisition as well, I really enjoy the open world gameplay and not being handheld or railroaded from point A to Z. I like taking my time and savoring the game. Looks like Alphashard had a slow work day 😉 Good job with the comments! @Sims2 – I never played the game as I’m not that interested in endless titles and I also hate interior design and decoration. However, I saw online somewhere that the Sims2 are being given out for free to anyone who has an Origins account and enters a special code in there. I’m not sure if it includes all the expansion packs or not. I redeemed the code and maybe one day I’ll look into that or have my wife try it out. @Sony Remakes: I don’t think all the remakes are such a bad idea from a money making standpoint. They have the numbers and they probably see that a lot of people how didn’t own a PS3 jumped on the PS4 and they want to accommodate them by remaking some really great games (TLoU). As a PS3 owner since 2009, I managed to play through most of the recent hits so I don’t really care that much about those remakes. Obviously, I would prefer to have new titles to play, especially new IPs, but I’m so far behind with my backlog, I don’t mind the ‘drought’ so much. I just finished Bioshock Infinite so that says something. On the other hand, I understand I might be the minority and there are thousands of gamers hungry for new and exciting experiences. Well, 2015 is the year to look forward to. Looking at the list of fall releases I don’t think there’s anything I’m particularly excited about. Maybe the Infamous DLC. I enjoyed the game and I liked the Fetch character so this could be cool. There’s also NHL15 – the first PS4/XBone title in the series. I might give it a go. Far Cry 4 had an interesting demo at E3 and people seem to be excited about it. I haven’t played any of the Far Cry games but I’m not sure I want another open world game from Ubisoft just yet. By the way, Alphashard’s LittleBigPlant could be amazing 😉 What kind of plant are we talking about? Nuclear? Hey Pawel the Ultimate edition give away does include all expansions and stuff packs. I obviously did a typo and meant LittleBigPlanet 3. Sure I knew it was a typo but LittleBigPlant sounds so much cooler 🙂 Even though I really like platformers, I never got into LBP that much. I beat the Vita version but I didn’t spend endless hours playing user-generated levels. Thanks about the Sims tip.